Mr. Colmenero has extensive experience in litigation and practices primarily in the State Tax Controversy and Litigation and State Tax Planning areas. He represents individuals, closely held businesses, and large corporations in all forums for Texas tax litigation, including the State Office of Administrative Hearings, District Court, the Court of Appeals and the Texas Supreme Court. He has also represented clients in IRS audits, appeals, and litigation in the United States Tax Court, Federal District Courts and the United States Court of Federal Claims, U.S. Courts of Appeals and the United States Supreme Court. Mr. Colmenero was previously a tax auditor for the State of Texas and, as a lawyer, has successfully represented taxpayers in contested proceedings involving sales and use tax, franchise tax, motor fuels tax, motor vehicle tax, mixed beverage taxes, employment tax and others. 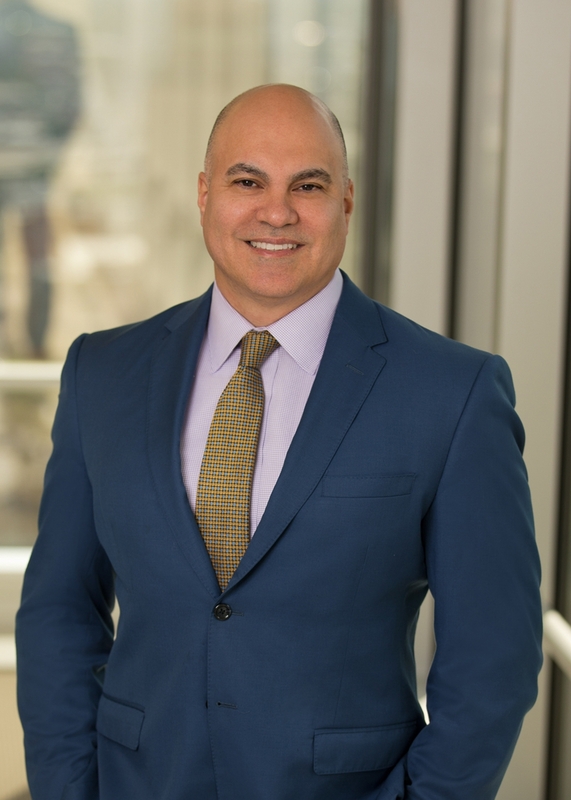 Mr. Colmenero represents taxpayers through contested Texas tax proceedings including audits, Independent Audit Review Conferences, administrative proceedings before the State Office of Administrative Hearings and in State court litigation. Mr. Colmenero has been extensively involved in challenging various aspects of Texas Comptroller franchise tax assessments and refund denials and in planning business structures and business transactions to mitigate exposure to the revised franchise tax. Through the course of his federal tax practice, Mr. Colmenero has represented taxpayers in complex and contentious federal tax matters through various stages of examination, appeals and litigation, some of which have involved high profile taxpayers and high profile legal issues. Representative matters include constructive dividends disputes, accumulated earnings tax assessments, hobby loss, passive activity loss and Section 465 challenges by the IRS to loss deductions, digital currency characterization issues, employment tax disputes, penalty assessments, assignment of income claims, statute of limitations disputes, trust fund assessments, partnership adjustment disputes, refund claims and voluntary disclosures to name a few. Mr. Colmenero has also represented taxpayers and partnerships in proceedings falling under the “TEFRA” provisions of the Internal Revenue Code and has been actively involved in speaking and drafting comments on the new federal partnership audit rules recently enacted into law by Congress. In September 2017, Mr. Colmenero testified before the IRS and U.S. Treasury on behalf of the Texas Society of CPAs on recently proposed regulations addressing the new partnership audit rules. Mr. Colmenero is a Certified Public Accountant and maintains active involvement in various professional legal and accounting organizations. He previously served as Chair of the Tax Section of the State Bar of Texas. He serves on the Board of Directors for the Texas Society of CPAs, is current chair of the Comments Subcommittee for the Federal Tax Policy Committee of the Texas Society of CPAs, and is a member of the Texas Comptroller's Taxpayer Advisory Group. He is a past chair of the Dallas CPA Society and past chair of both the State and Local Tax Committee and the Tax Controversy Committee of the Tax Section of the State Bar of Texas. He helped form the Leadership Academy for the Tax Section of the State Bar of Texas and served as its Program Director for several years. He frequently speaks on substantive and procedural tax issues involving both federal and state tax matters. Mr. Colmenero was admitted to practice in Texas in 1997. The Chairman's Citation, TSCPA Annual Meeting, June 2008—for extraordinary volunteer service and contribution to the cooperation between the legal and accounting profession through his efforts with the TSCPA State Tax Committee, State Bar of Texas State Tax Committee and the Texas Comptroller of Public Accounts on the response to the Texas Comptroller's rules implementing the new margin tax. On June 21, 2018, the United States Supreme Court issued its opinion in South Dakota v. Wayfair, Inc., et al. In a 5-4 decision, the Court held a state can require out-of-state sellers with no physical presence in the state to collect sales tax on sales of goods or services delivered into the state. Starting today, May 1, 2018 through June 29, 2018, the State of Texas Comptroller's Office will run its "Texas Tax Amnesty Program" which offers relief from tax-related penalties and interest for certain taxpayers. But before participating in that program, taxpayers may want to consider whether the Comptroller's existing voluntary disclosure program provides a better option for them. As the year comes to a close, one additional matter that individual taxpayers may want to consider is whether to expedite any large dollar purchases into this year if sales tax will be due on those transactions. In a much anticipated decision the Texas Supreme Court today issued its decision in Graphic Packaging Corp. v. Hegar, No. 15-0669, (December 22, 2017). The Court held that Graphic Packaging could not use the three-factor apportionment formula provided for in the Multistate-Tax Compact for apportioning Texas franchise tax, notwithstanding that Texas is a member of the Compact. On January 19, 2017, the Texas Third Court of Appeals (the "Court") in Agri-Plex Heating and Cooling, LLC v. Hegar found that a business buyer may not be able to escape successor liability for hidden tax liabilities assessed after the purchase occurs. Agri-Plex Heating and Cooling, LLC v. Hegar, No. 03-15-00813-CV (Tex. App.-Austin January 19, 2017, no pet. h.) (mem. op.)). As a result and moving forward, a buyer purchasing a business should be cautious and plan accordingly because it could be liable for taxes incurred by the seller before the purchase but not known or ascertainable by either party at the time of closing. On January 6, 2017, the Texas Third Court of Appeals (the "Court") withdrew their opinion and judgment in American Multi-Cinema, Inc. v. Hegar from April 30, 2015 to substitute a revised opinion (No. 03-14-00397-CV (Tex. App.—Austin January 6, 2017, no pet. h.) (mem. op.)). The revised opinion upholds American Multi-Cinema, Inc.'s ("AMC's") cost of goods sold ("COGS") deduction for its film exhibition costs while leaving unresolved whether AMC's products are "perceptible to the senses" and thus qualify as "tangible personal property" under Texas Tax Code Section ("Section") 171.1012(a)(3)(A)(i). On December 12, the U.S. Supreme Court denied the petition for certiorari in Direct Marketing Association v. Brohl (Direct Marketing). As a result, the Tenth Circuit's earlier decision in Direct Marketing will stand. In Direct Marketing, 814 F.3d 1129 (10th Cir. Feb. 22, 2016), the Tenth Circuit upheld a Colorado law requiring out-of-state retailers with no physical presence in Colorado to either voluntarily collect sales tax or comply with substantial notice and reporting requirements. At least arguably, the Colorado statute at issue represents yet another attempt by a state to circumvent the physical presence requirement imposed by the U.S. Supreme Court on a state's ability to impose its tax collection obligations on an out-of-state entity. In a recent decision with potentially broad implications, the Texas Supreme Court held in favor of a taxpayer on a question involving the treatment of capital losses for purposes of the Texas franchise tax. In a recent decision, the Third Court of Appeals in Texas held that Rent-A-Center, Inc. was entitled to use the .5% tax rate for Texas franchise tax purposes which is generally available to retailers and wholesalers. Rent-A-Center, Inc. v. Hegar, 2015 Tex. App. LEXIS 5865 (Tex. App. – Austin, no pet., June 11, 2015). Several states have amnesty programs that begin this month and have limited duration. Taxpayers who may be interested should seek legal counsel before approaching any state about past due taxes. Read the full article to see what states have amnesty programs.